Awe/Wonder: People Are Always Looking for Inspiration and AWE, but Only Recently Did a Study from Stanford Confirm that TRANSCENDENT AWE Has Numerous Health Benefits. But How Do We Put Ourselves into These States of Wonder and Awe? 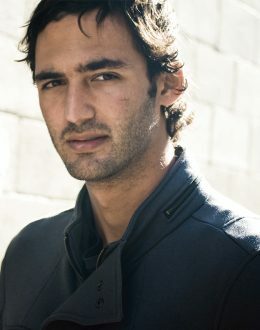 Jason Silva is a television personality, filmmaker, and public speaker. He was born in Caracas, Venezuela. He is the Emmy-nominated host of National Geographic Channel’s #1 rated and Emmy-nominated series, Brain Games, seen in over 100 countries. A self-professed wonderjunkie, Silva is the creator of the web series “Shots of Awe,” micro-documentaries exploring creativity, innovation, technology, futurism, metaphysics, existentialism and the human condition. In short: Philosophy, Science and Art for the YouTube generation. The videos, which “play like movie trailers for ideas,” according to The Atlantic, have spread like wildfire across the internet and have been viewed more than 9 million times. He was also keynoted at the Tribeca Film Festival, The Sydney Opera house, The Economist Ideas Festival, The DLD Conference, The Singularity Summit, the PSFK Conference, Mexico’s Ciudad De Las Ideas, Seattle’s Interactive Conference, Chicago Ideas Week, the main stage at SXSW Interactive and the Main Stage at CANNES LIONS festival of Creativity.